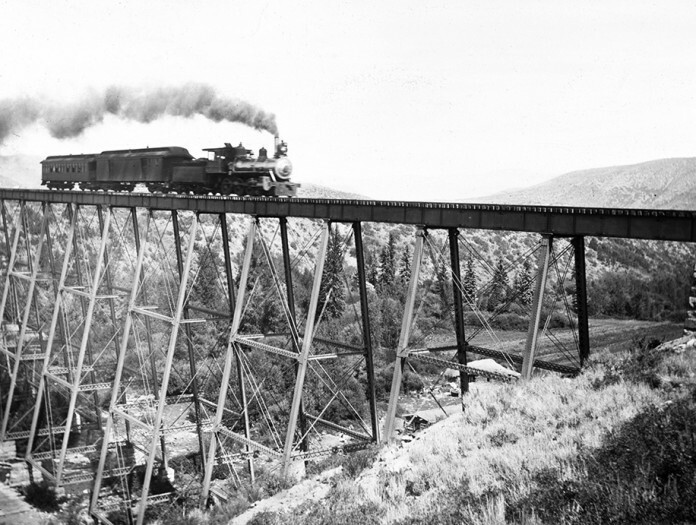 In 1888 the Colorado Midland Railroad constructed this 651 foot structure spanning 200 feet above Maroon Creek. The bridge was constructed with nine steel girder towers with stone foundations which supported timber crossbeams and rails. 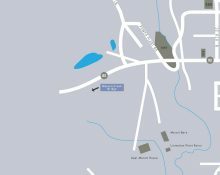 The bridge aided in the conveyance of silver ore mined and milled in Aspen to the market place. Until the construction of the bridge, the only access to Aspen was through Independence Pass by foot or pack animal. 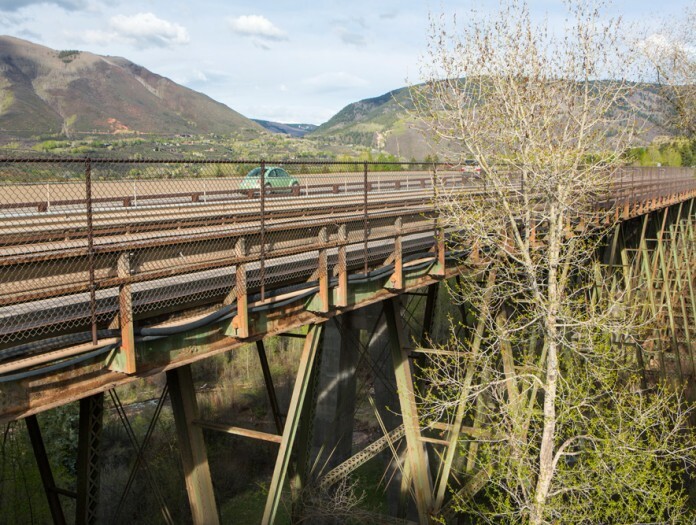 As the original rail use of the structure was superseded by the automobile; the Colorado Department of Highways altered the structure in 1930 by widening the bridge and replacing the rail tracks and ties with a concrete and steel superstructure. The stone foundation footers have been replaced with concrete and other repairs have been made over the years for safety. The Maroon Creek Bridge is the only remaining steel bridge constructed by the Midland Railroad and is one of the last remaining iron/steel multiple-span narrow gauge railroad high trestles erected in the 19th century. 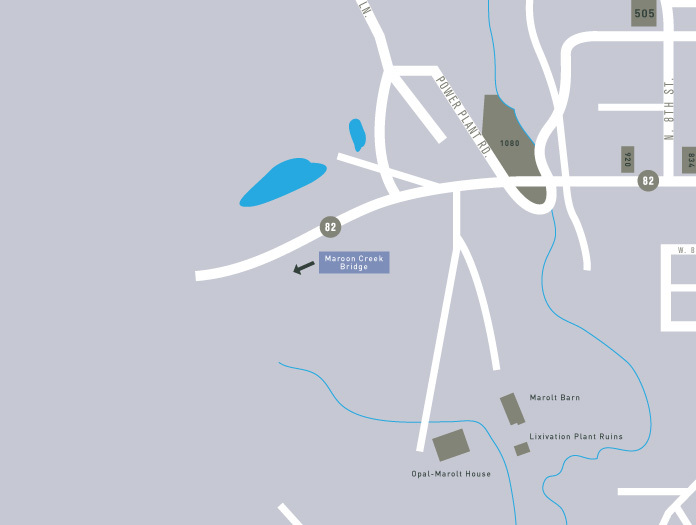 The bridge is still in place; however, a contemporary structure was placed adjacent to the historic bridge to serve traffic on State Highway 82.